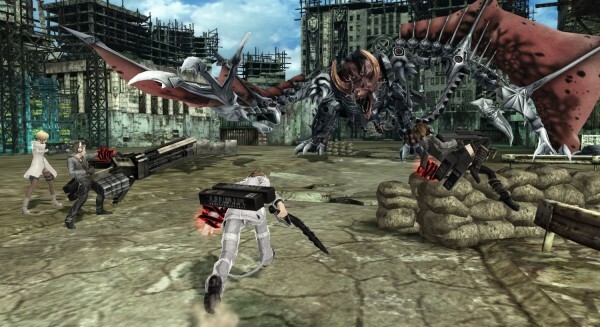 Developed by Sony Japan, Shift and Dimps, Freedom Wars is easily described as a mix between Lost Planet, God Eater and Monster Hunter set in a dystopian Orwellian future. 100,000 years from now, the world has been segmented into fifty “city” like areas called Panopticons. The planet is essentially dead, thanks to the mismanagement of resources over a number of years. Because of that, the human population is now being judged based on a singular person’s usefulness to the human race. To properly sustain life, those deemed useless are given jail sentences, with the worst crime being amnesia, which carries a one million year sentence. Everything you do and say is monitored by a big brother like entity and the only way for sinners to earn their freedom, be it by earning basic human rights or lessening their jail sentences is by participating in resource gathering Operations. Usually what that means is going from place to place, taking out wayward sinners, destroying large mechanic beasts known as abductors and rescuing captured citizens. 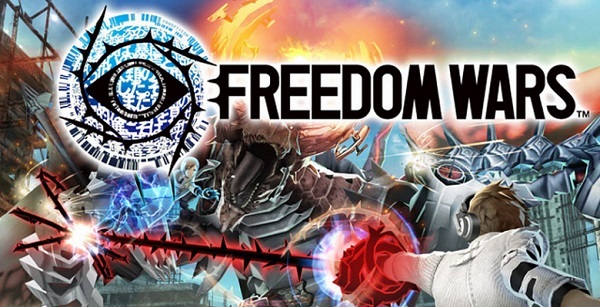 The concept for Freedom Wars is a really interesting one, especially in the way you have to buy your rights using the game’s currency known as entitlement points. It debates self-worth in a real, tangible way and mixing that with real-world concerns over safety and privacy makes this a much deeper game from the outset. The only issue is that the concepts tend to be better than the execution, at least when it comes to the narrative. Over the course of the game’s 25 hour campaign, it fails to really develop it’s characters in any meaningful way, outside of some tried and true tropes that we’ve seen a number of times before. That, and when you’re going from mission to mission to mission, a lot of the dialogue feels extraneous because it’s really a means to getting you to an end. It’s not bad or poorly written by any means, it’s just not as deep or as thoughtful as the concept sets it up to be. The good news though is that the gameplay, though not without some issues itself, is absolutely stellar and probably the biggest draw of the game outside of the core concept. Before you delve into a mission, you’re given the ability to select two weapons, modifications and items that can be swapped out in between missions. There is a wide assortment of weapons and combinations to choose from, so no matter how you want to play, there’s a style in the game that can suit you. Whether you decide to be a defense heavy machine gunner with a tendency to pull out rocket launchers, or a leader who delivers commands while they snipe from a far off area, the level of customization is superb. Probably the best mechanic though is a device known as a thorn. The thorn acts like a grappling hook of sorts, and allows the player to climb walls, reach higher ground, attach yourself to an abductor or do jumping attacks. When you add in the secondary commands of binding, healing and shielding, all which have their own benefits, it really adds a unique twist to the gameplay and gives it a sense of verticality that other games in the genre don’t have. What makes this even better is you can go in battle not with a squad of CPU compatriots, but with friends and strangers across the globe. Being able to play online with a group of friends, coordinating attacks and loadouts and working together to beat missions is a great feeling and besides a few moments of lag here and there, it ran smooth as silk the entire time I played. You can also take the fights into 8 player PvP, which created some crazy hectic battles, but slowdown times were a tad more noticeable there than when I was doing missions with my friends. The only issue with the gameplay is an abundance of items and loot. You’d think that would be a good thing, and on paper it is. Having a deep crafting system alongside weapon upgrades and earning back some of your aforementioned rights is great. The problem is the UI is horrific and there’s a serious lack of details in the way things are presented. You get so many items in abundance after completing an operation, and knowing which goes with what or what goes better with what weapon is downright confusing. Unless you scroll through every single description or use some form of trial and error, you’re most likely going to be left with a bunch of items and no way to use them, After a while it became a little bit easier to understand, but it was still confusing nevertheless. All that being said, Freedom Wars is a fantastic game and easily a must-buy on the Vita. 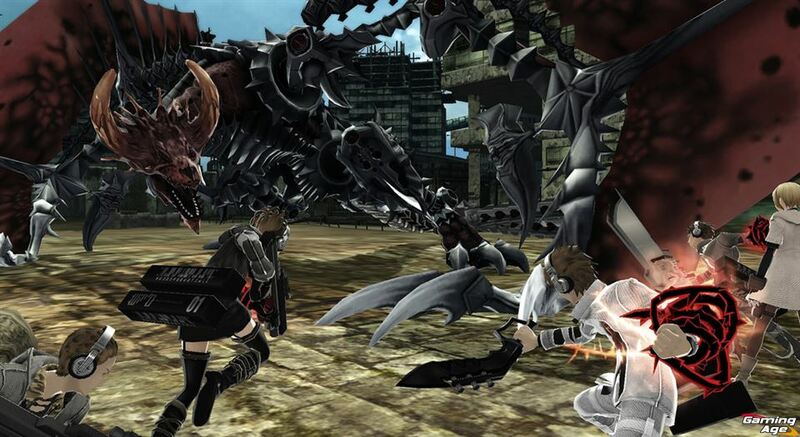 The gameplay is fun and addictive, the level of customization and ways you can approach a battle is superb, the thorn mechanic is brilliant and whether you’re fighting with or against a player online, you’re sure to sink a number of hours into this game. The story is nowhere near as deep as it’s concepts lead you to believe and the user interface leaves a lot to be desired, but anybody looking for a fun time on the go and who owns a Vita, owes themselves to check this game out.